As the dust settles on the Supreme Court's ruling in Heien v. North Carolina, privacy and civil rights advocates are worried about how "mistakes of law" could allow officers to abuse suspects. The Washington Post reports that although the basic reasoning of the case is simple, "it leaves some complications." The basic ruling: Officers can have reasonable suspicion to stop a vehicle based on a reasonably mistaken view of the law. 1. Applying the Law at Hand Was a Close Call. The Heien case focused on a police officer's interpretation of a North Carolina "stop lamp" law that requires vehicles be equipped with a "stop lamp." The officer reasoned that since one of Heien's brake lights was out, this was a violation, while Heien argued that one light was good enough for the law. The Supreme Court determined that although Heien was right, the officer's mistake of law was reasonable given the circumstances. 2. Heien Was Fighting Drug Charges. Heien wasn't fighting the brake light violation; he was fighting drug charges based on the cocaine the officer later found in his car. If the officer's initial traffic stop wasn't legal, though, any evidence found after the stop (like an incriminating plastic baggie of cocaine) would be suppressed. 3. Heien Consented to the Officer's Search of His Car. 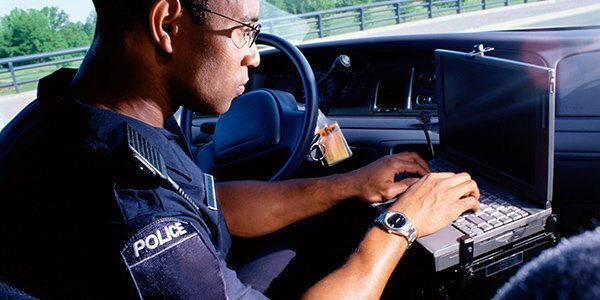 Law enforcement don't need warrants or probable cause to search a vehicle when the owner gives them consent to search. After the traffic stop, Heien consented to a search of his car, which revealed a baggie of cocaine. 4. Mistakes of Law v. Mistakes of Fact. The Heien case highlights the legal difference between a mistake of law and a mistake of fact. A mistake of fact occurs if an officer stops a vehicle after he thinks he saw a malfunctioning brake light, when both were working perfectly. A mistake of law occurs if an officer arrests or detains a suspect for conduct which isn't illegal in the first place. Under Heien, it is possible to make a reasonable mistake of law or fact and still make a legal traffic stop. 5. The Ruling Considers Only 'Reasonable' Mistakes. Police cannot insulate their arrest practices by claiming ignorance of the law. The Heien ruling applies only to reasonable mistakes of law, meaning the ignorance of any particular officer is irrelevant. The standard is whether it was reasonable for an officer under those circumstances to think the conduct violated the law. What is reasonable for an officer to know? That's for each court to decide. Some critics see the Heien ruling as opening the door to investigatory abuse and whittling down Fourth Amendment rights. But because so much of the ruling's effect is based on how trial judges will apply the Heien standard, only time will tell how it will affect civil rights.